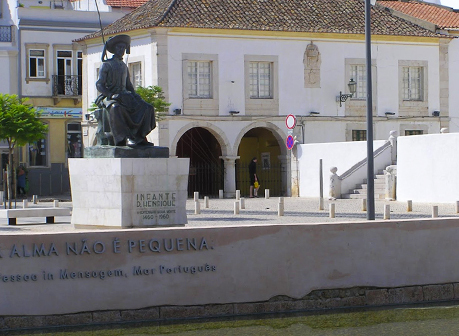 Henry the Navigator, was an important figure in the early days of the Portuguese Empire and the Age of Discoveries in total. 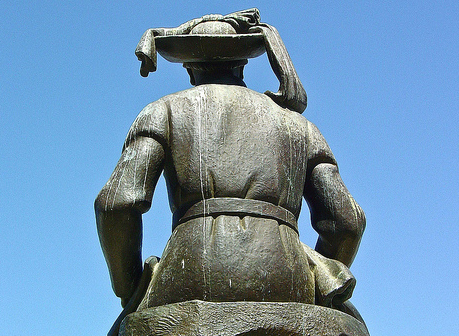 He was responsible for the early development of European exploration and maritime trade with other continents. 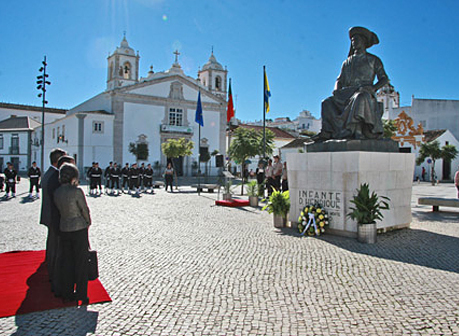 In 1419, Henry’s father appointed him governor of the province of the Algarve. He sponsored voyages down the coast of Africa which returned with numerous African slaves and goods. 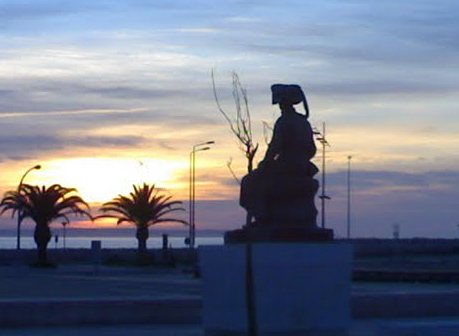 The port of Lagos was the harbor from which these expeditions left. 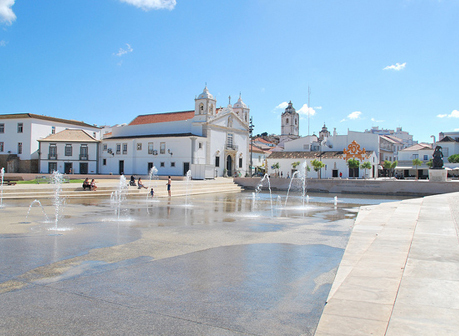 In the centre of the square stands a statue of Infante Dom Henrique / Henry the Navigator, inaugurated in 1960 on the 500th anniversary of his death.